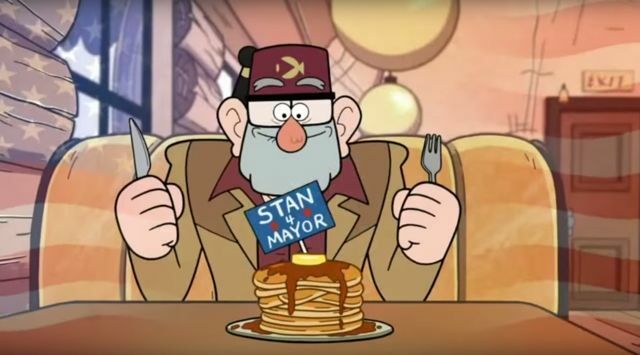 In the next episode of Gravity Falls, Stan will run for mayor against Bud Gleeful. Why? 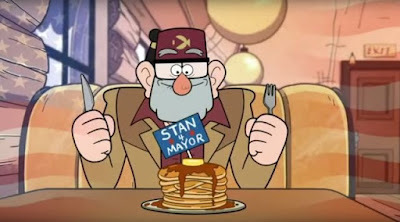 Isn't there already a mayor? Because the original mayor will die. 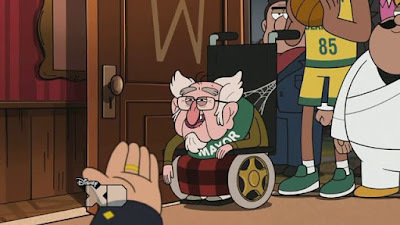 In a code in the book Dipper and Mabels Guide to Mystery and Nonstop Fun there is a code that says, "The mayor of Gravity Falls is not long for this world." Also, this was hinted in the episode Northwest Mansion Mystery. 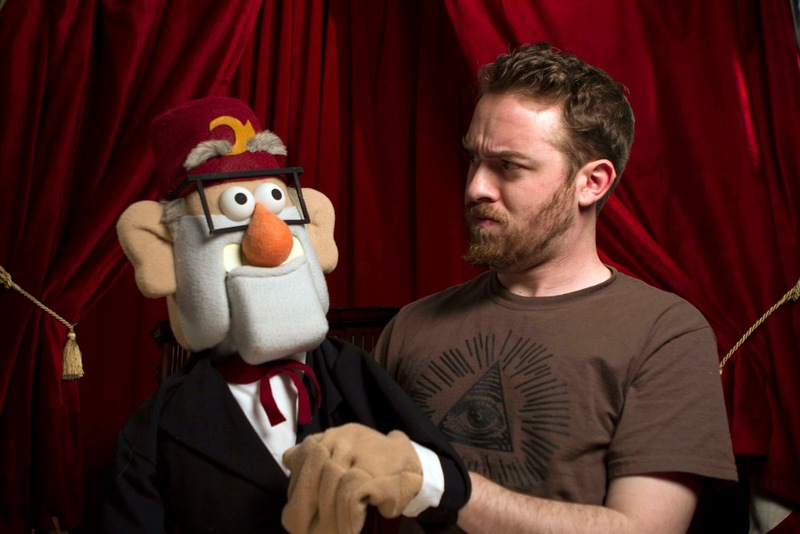 Alex Hirsch has stated , "I can tell you that at least one character won't survive the season." I don't think this will be a filler episode. Why? Because Bud Gleeful plays a major role in it. That gives hints that Gideon might return. You see, if Bud wins, Gideon has a chance of breaking out of jail. This has been hinted on several occasions. 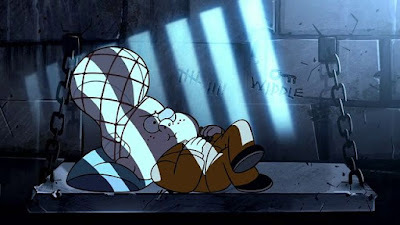 In another code in the book, Gideon states, "Help me escape or be destroyed!" Lets look at some creepy letters from Lil' Gideon for possible clues. You can watch the video below. The following video is NOT a teaser for the new episode, I will show it to you at the end of the post. 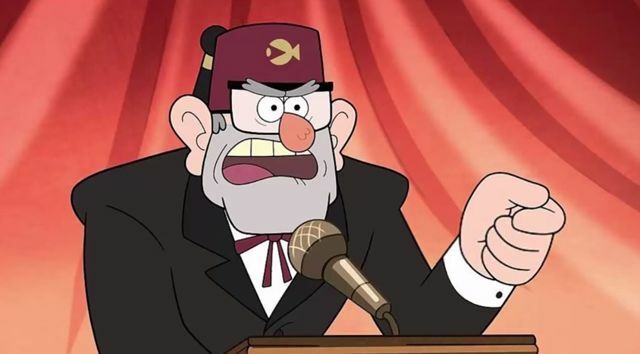 Hmm... A "book club" with Gideon, Dipper, and Bill Cipher. Hmmm... Revenge on the Pines family. Just think of all the things that could happen if Gideon escaped. This episode will be important because Alex Hirsch has stated, "I can't tell you much, but this next episode will effect the shows plot [in a very important way]." Above: The show's creator, Alex Hirsch, with a puppet version of the character Grunkle Stan. Teaser for "The Stanchurian Candidate"
What happens? Be sure to watch it August 24, at 8:30 PM on Disney XD. I will see you next time! Bye!